Old School Panini the last weeks talked about strange family stories. Like Thiago & Rafa Alcântara's father who played for Brasil and one of his son played for Spain and another one for Brasil. Or the other story about Vicente PERNIA and his two sons. Vicente Pernia was a great defender for Argentina and his son played for Spain but no family has a such awesome football story than the Boateng brothers. 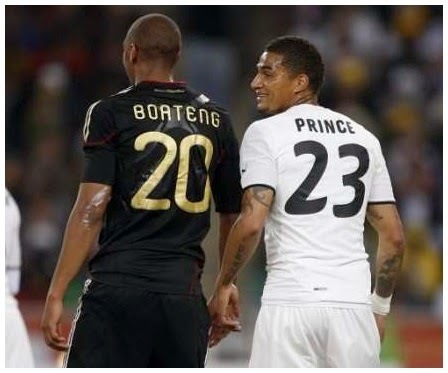 In 2010 during the FIFA World Cup in South Africa the Boateng brohers made football history when Jerome BOATENG with Germany faced off against Ghana star and brother Kevin-Prince BOATENG. Before that game (1-0 for Germany) never in the history of football have two brothers taken to the opposite end of the pitch in an international match at the same time. 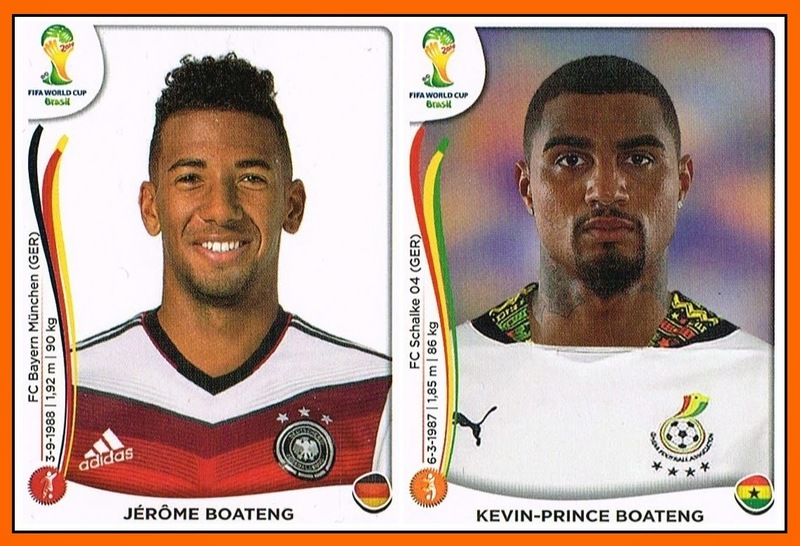 But history will always repeat itself and in 2014 the Boateng brothers can set to battle once again in Brazil. Ghana's Black Stars will play Germany in Fortaleza on 21 June in Group G and for the second time in World Cup History two brothers can face off ! 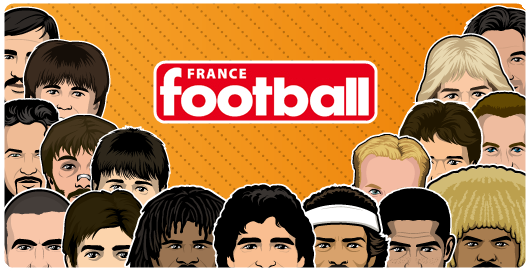 Although, in 2008 two brothers did play at opposite ends in a friendly between a France "A'" team and the Democratic Republic of Congo in Spain. Unfortunately neither brother was on the pitch at the same time as the other. In one hand Steve MANDANDA was the french goalkeeper and he left the pitch at halftime (subsitute by Hugo Lloris) and in the other hand, his young brother, a goalkeeper too, played for Congo... only in the second half. No chance. But the Boateng story it's stronger mainly if they will face off each other once again in Brasil. Je suis le photographe officiel du Sporting de Charleroi. 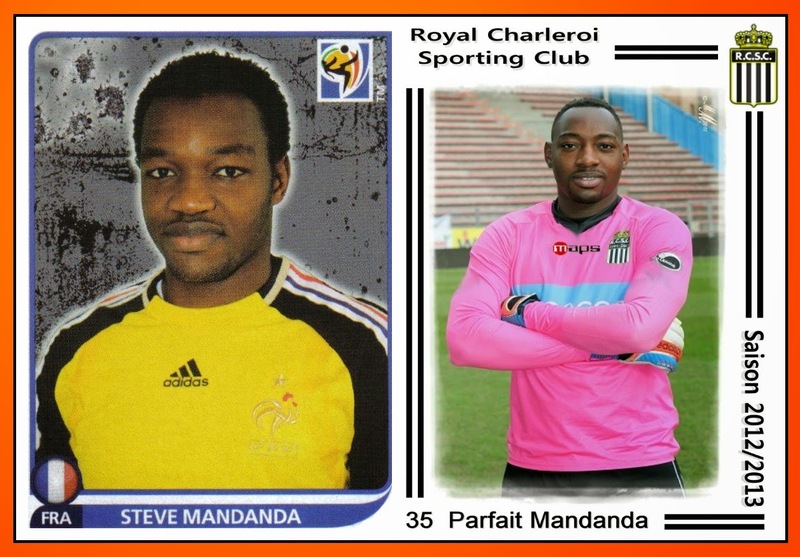 La photo de Parfait Mandanda que vous publiez est de moi; ce n'est PAS UNE VIGNETTE PANINI !